I enjoyed reading these. I found them on an old post of yours about his complete works. I would like to build a new complete works list with all his articles and interviews. what do you think? 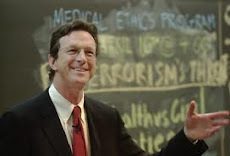 Brent, I've already been working on a list of Crichton's nonfiction articles and of his interviews for some time now. It will be far longer than a list of his short stories.